I’ve stayed at several Airbnb’s in Bangkok, which has been a good way to discover new areas of the city (new to me at least). 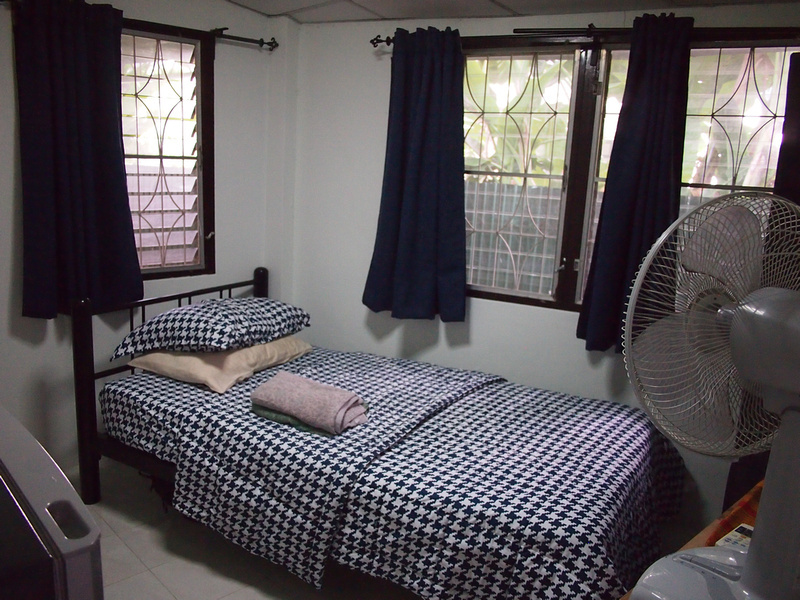 I don’t usually stay in the Sathorn area but this room in a “vintage 1960s tropical villa” caught my attention. Behind the skyscraper-lined major arteries there are many small streets (soi’s) which often feel like being in a village. 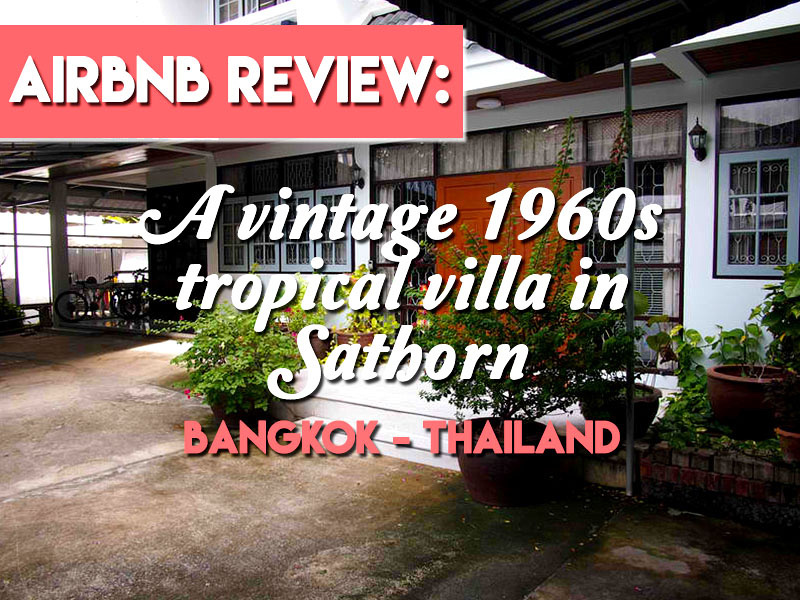 This Airbnb, which is listed as “Flavor of Old Bangkok” certainly lives up to that name, being a house on a large property in a quiet street. It’s only two streets off a major intersection yet it felt more like being in the countryside. It’s close to the former backpacker area (before it moved to Khao San Road). I usually prefer a private apartment over a rented room in a house. This room though is self-contained, having a separate entrance on the side of the house, with no need to disturb the hosts. The bedroom is at the back of the house and has two sides of windows. The windows are louvered, which was a style popular in Australian houses in the sixties (and a shame they still aren’t). The windows also had fly screens, which is a surprising rarity in Thailand. With the two windows being open I stayed comfortable with just the fan running (there is an a/c if you prefer). 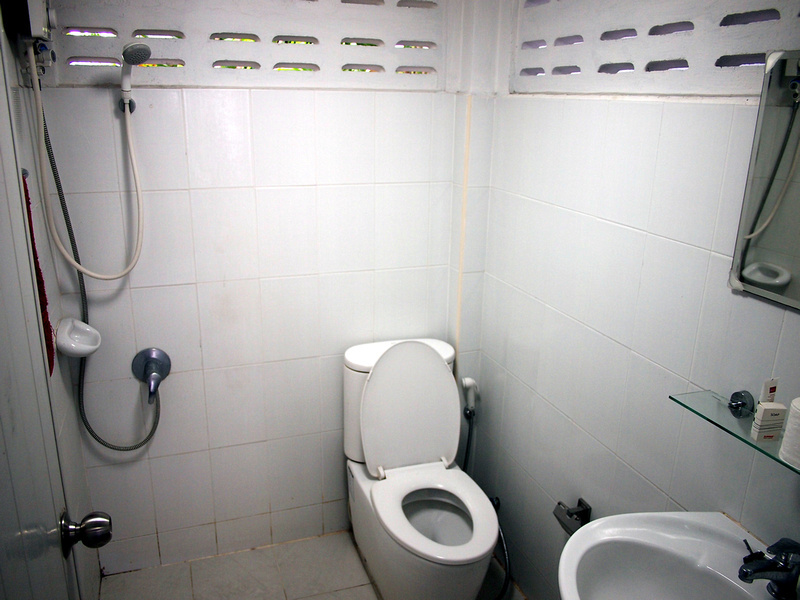 The bathroom is attached outside the room, and was clean and of a good size. 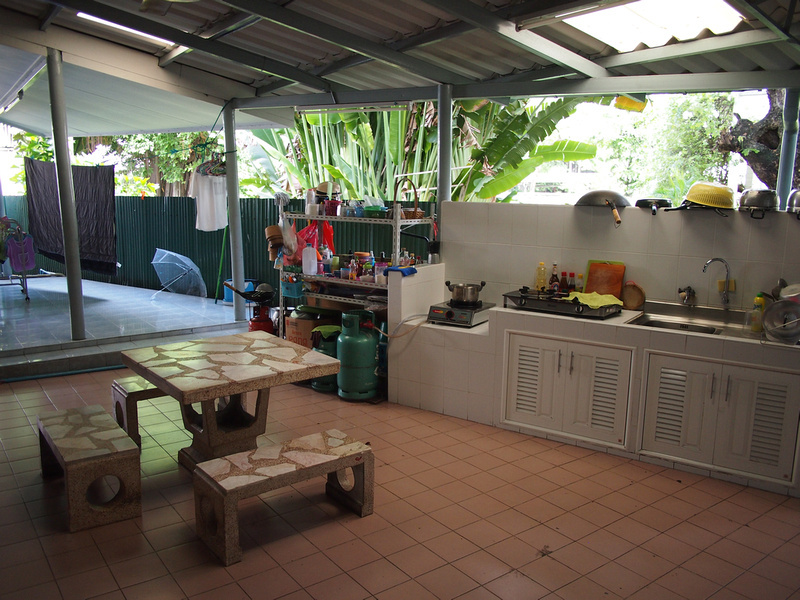 Next to the room is a kitchen area which is also not part of the main house. Not that I used it, because Thai food everywhere. 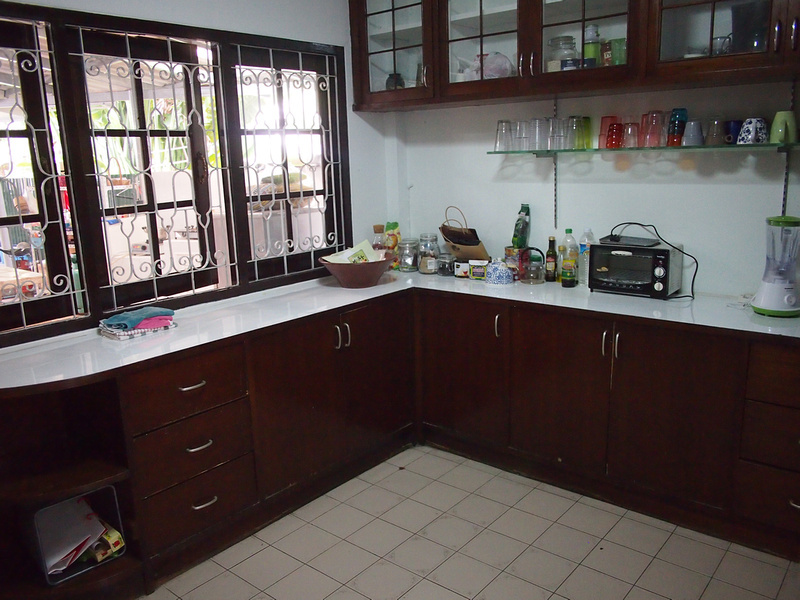 Also at the back of the house next to the room is the main kitchen and laundry area. You can use the washing machines here and the cleaner of the house did my washing for me, which was a bonus. The wifi was solid without any problems during my stay. Behind the house there is another house with a big garden. There were banana trees outside my window, and at night a chorus of crickets, frogs, and an assortment of of unidentified insect life. A rain storm at night thundered on the roof, adding to the feeling of being somewhere other than in urban Bangkok. I stayed at a similar place to this in Nana Soi 4, which is the last place you would expect to find a rural setting in Bangkok. I enjoy finding these tucked-away places in Bangkok. Book the room here, and if you’ve never used Airbnb before sign up here to get a $20 credit, and read these tips for first-time Airbnb users. If you prefer to stay in a hotel search for hotels in Bangkok here. And if you don’t know your Sathorn’s from your Sukhumvit’s then read up on which area to stay in Bangkok.